Lionel Messi has shown that anything Liverpool's Mohamed Salah can do, the Barcelona talisman can do even better. The pair have seemingly been involved in a shoot for an upcoming Pepsi advert, with Salah taking to Instagram on Thursday to post a video giving fans a behind the scenes look. In the short clip, the Egyptian forward can be seen chipping a ball through a black tyre held up on a stand, before proceeding to hold up a can of Pepsi. The 26-year-old then walks over to the tyre and places the can on top of it, before heading back to his starting position whilst doing some kick-ups, and then knocking the can over with a first-time volley. 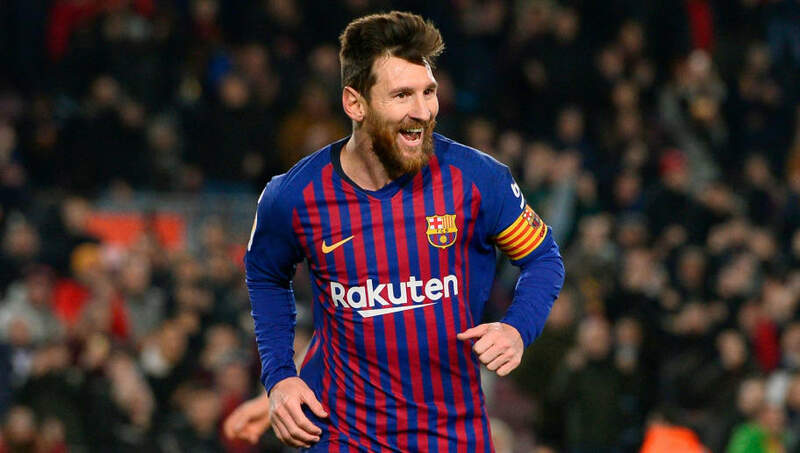 Not one to be outdone however, ​Barcelona forward ​Messi responded to Salah's post with a video of his own on Friday evening, and turned up the skill and technique up a notch. With the same tyre and stand setup like in Salah's clip, the Argentine however decides to place a Pepsi bottle on top of the ball and waits for it stay balanced. After taking a couple of steps back, Messi clips the ball through the tyre like ​Salah, but perhaps even more impressively than his Liverpool counterpart, gets the Pepsi bottle to do the 'bottle flip' challenge and makes it land perfectly on the ground. The five-time Ballon d'Or winner then gives the camera a sly smile before walking off, and leaving Salah's feat looking all the more schoolboy.